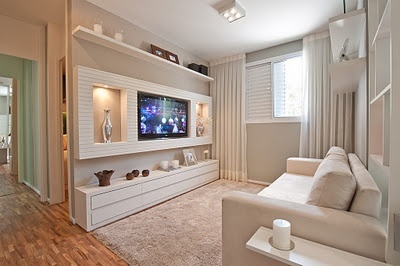 This is one of the best ideas for a modern living room, offering a sleek designer solution for your interior. 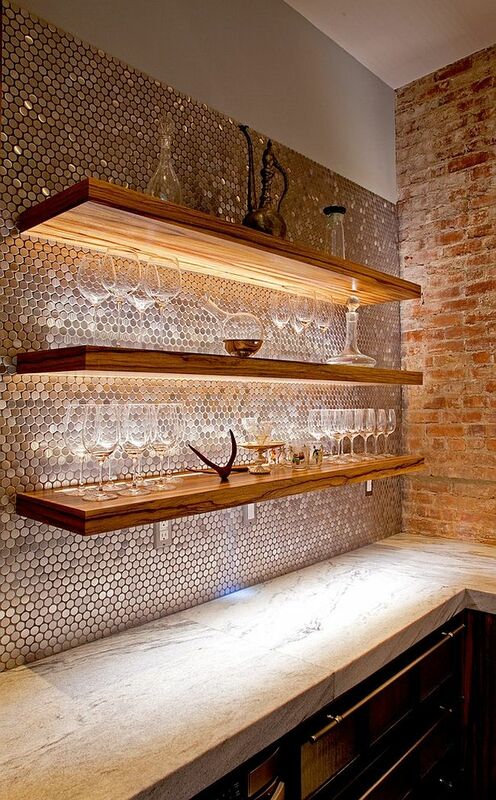 Snake like shelves, arranged in creative ribbons will give the room an unusual look and feel. A similar approach can be used with standard shelves. 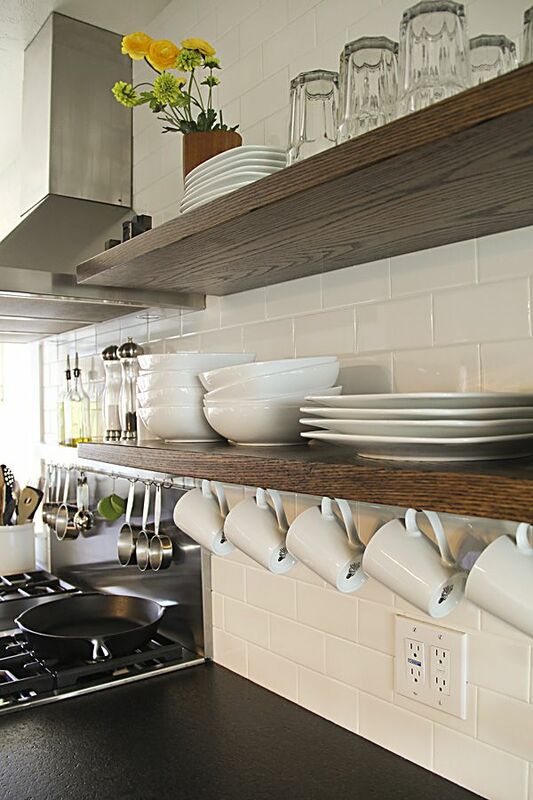 Simply add a couple of wooden planks to connect a floating arrangement into a single shelving unit. This will not boost your storage, of course, but the arrangement will look more unusual. A floating shelving pattern can do without any connections, of course. To make it more impressive, try to make the placement a bit scattered. Also, you might want to go with differently sized shelves. While working with wall shelves, separated into several box-like partitions, mirrors in the background can help you achieve a very stylish effect. First of all, they will reflect light and make the room more cheerful; and next, they will make it seem a little deeper. If simple boxes are not creative enough for you, go with a honeycomb stand — its sleek and modern design is an amazing addition to any room, even a bedroom. Another memorable idea would be to go with bright colourful background instead of mirrors or a plain wall. This is particularly true with white shelves — contrast them with a brighter wall — red, blue, orange, etc. If you are looking for kitchen shelving solutions, one of the best ideas on organising your storage would be to equip shelves with hooks. Perfect for hanging a wide range of objects — from towels to frying pans — these hooks will seriously boost to your kitchen. Another sleek idea for a modern kitchen would be to match the colour of the objects you store on the shelves to shelf colour — for example, a carefully displayed collection of white porcelain on a white shelf. 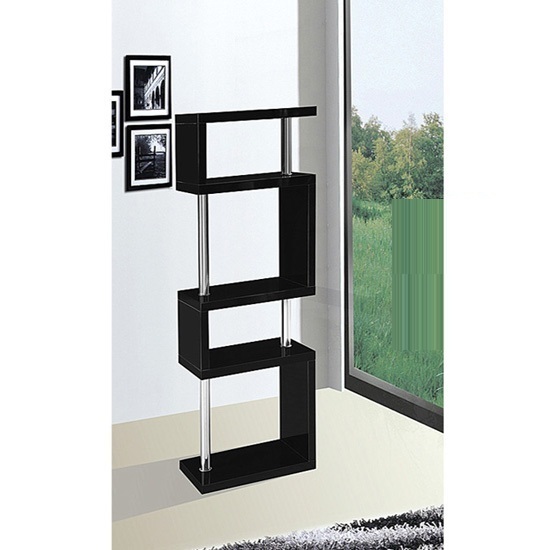 Or, mix match black and white units on a dark/ white shelf. This classic blend is one of the contrasts that will never lose its relevance in our interiors. Finally, choose the items you display carefully. 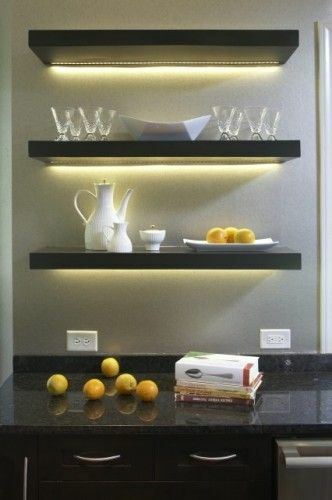 If, for example, you place pictures in the shelving box, highlight them with LED or diode lights. And, of course, consider which things need displaying and which do not. And here are a couple of other tips that will help come up with creative idea on positioning your shelves — whether in a living room or a kitchen.